Before I list the books, let me just tell a little side story here. Originally I had 5 books on the list, just like with pre-k and kindergarten. Paper Bag Princess was the 5th book, but I read it to one class and decided to leave it off the list. At the end of the book the princess decides not to marry Prince Ronald and calls him a “bum.” One of my more outspoken little first graders announced, “That’s what my mommy says about my daddy all the time!” She was very excited and wanted to tell the class all about it (which obviously I stopped before she got started). Another kid thought “bum” was a bad word. When I did my elementary student teaching, the kids loved this book and I never had a bad reaction. And I love it, too. But I decided not to read it with any more classes to avoid the possibility of phone calls from parents! Click, Clack, Moo: Cows That Type by Doreen Cronin. I read this book first, right after I read Duck for President. It’s the same team for both and takes place on the same farm, so it’s a nice transition. 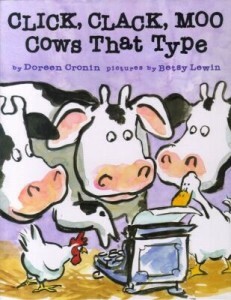 First grade really appreciates how absurd it is that cows can type, and they giggle like crazy and like to do the “moo”-ing for this one. 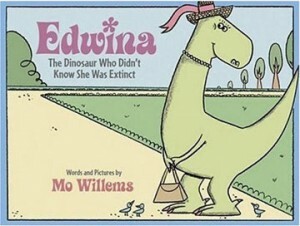 Edwina: The Dinosaur Who Didn’t Know She Was Extinct by Mo Willems. I like doing this with first grade because they get what “extinct” means. And they all love the name Reginald Von Hoobie Doobie. They really understand that Reginald is a know-it-all but actually just wants someone to listen to him. 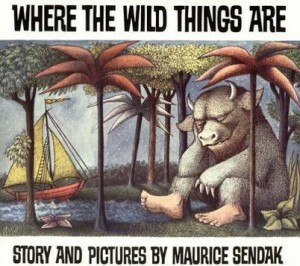 Where the Wild Things Are by Maurice Sendak. I love this book, but it can really scare some of the younger kids. The first graders really liked it and weren’t afraid. They loved when Max’s room disappeared into the forest (they wanted to know where his bed went), and they were just transfixed by the illustrations. 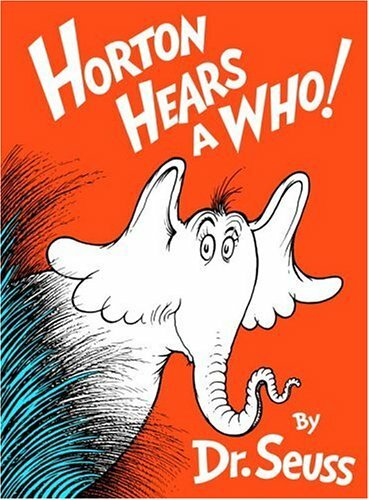 Horton Hears a Who by Dr. Seuss. I think this book would be very difficult with the younger grades. It’s long, and the concepts need a little deeper understanding. First grade loved it, and by the time we got to JoJo giving his great big YOPP they were all on their knees and leaning forward. They wanted to know what would happen next, it was actually really exciting to read this to them.